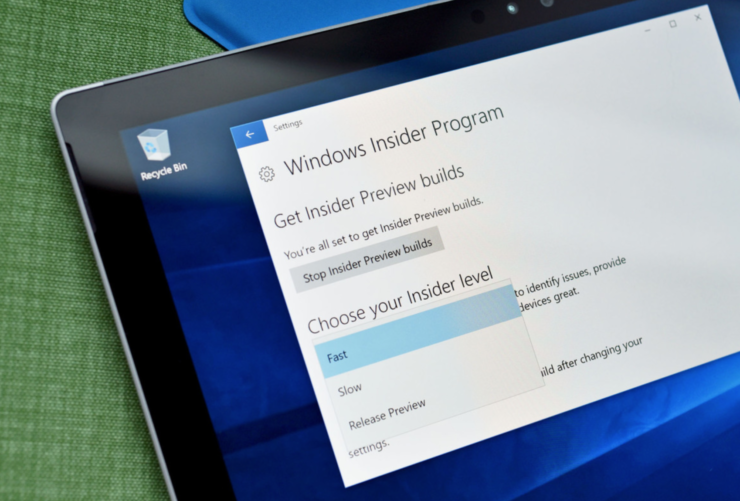 Microsoft has started to push Windows 10 PC Preview build 15060 to the Fast ring Insiders. As the company is finalizing the Windows 10 Creators Update, we don’t expect to see anything but bug fixes and minor performance improvements in any of the remaining Preview builds that are to come before the RTM build. We fixed an issue resulting in the Settings icon appearing plating in the taskbar. This issue also resulted in another issue now fixed, where if Settings had been pinned to Start, the tile would become greyed out after the first time it was clicked. We fixed an issue resulting in 3rd party IMEs not showing up in Settings after being installed. We fixed an issue in Microsoft Edge where quickly typing and deleting characters into a website’s search box while using the MS Pinyin IME might result in the IME becoming stuck and the website showing “Not responding”. Surface Pro 3 and Surface 3 devices should no longer fail to update to new builds if a SD memory card is inserted if you have the latest Surface drivers and firmware installed. We fixed an issue where taskhost.exe might crash after pressing Tab while quickly typing in UWP app sign in fields, resulting in not being able to type for a few seconds. We fixed an issue for Insiders where, after a crash, Microsoft Edge might fail to launch again for a few minutes because previous instances were still suspended in the background. We fixed the issues occurring when exploring pages using the F12 Developer Tools in Microsoft Edge with cross-origin iframes (e.g. the DOM explorer shows only the iframe DOM, the Console frame selector doesn’t list the iframes, etc.). You will be unable to download new (additional) language packs on this build. Currently installed language packs will not be impacted. For more, please visit the announcement page.